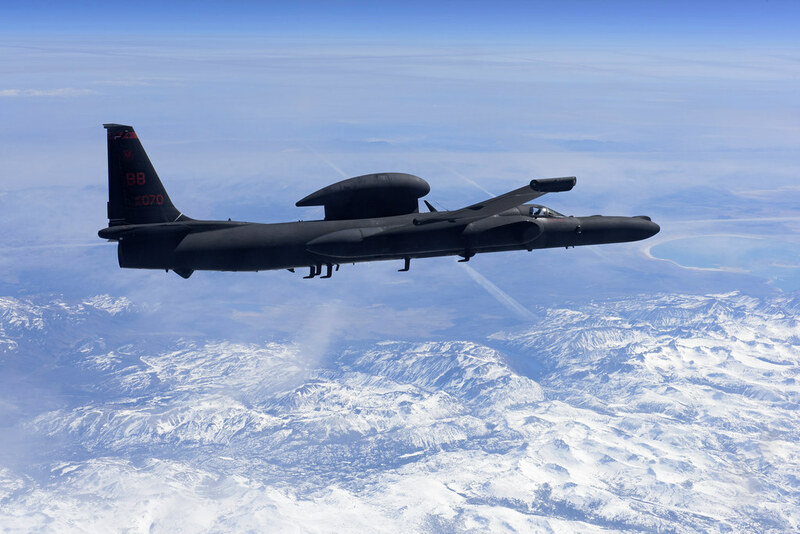 The U-2S is a high-altitude reconnaissance and surveillance aircraft providing signals and imagery intelligence and has the ability to detect radar, acoustic, nuclear, chemical and biological signatures. 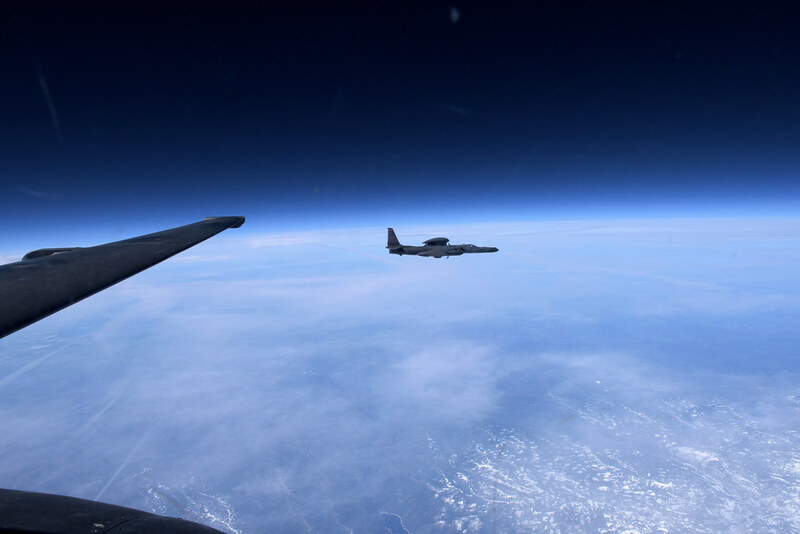 The plane’s long, high-profile wings give the U-2 glider-like flight while the fuel-efficient engine eliminated the need for aerial refueling on long missions. Flying at 70,000 feet the pilot must wear a full pressure suit to survive. The plane quickly earned the nickname “Dragon lady” because of its reputation of being difficult to fly even for the most experienced pilots. 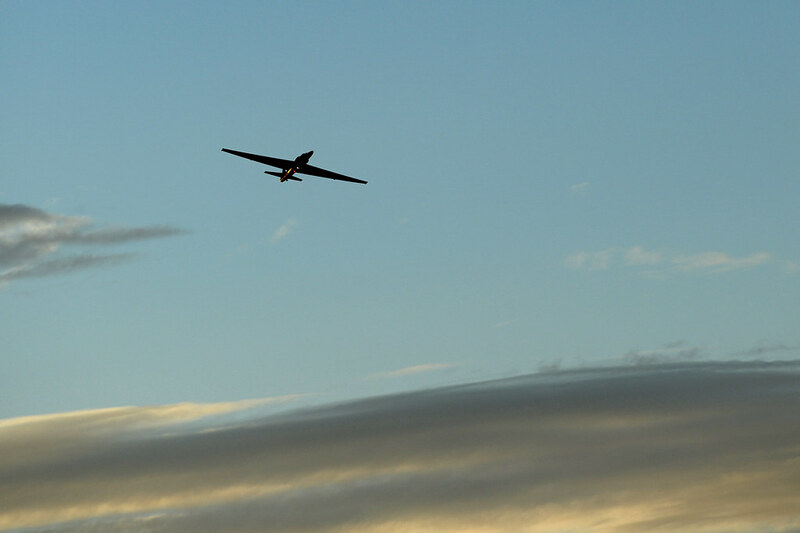 The combination of being light and needing to fly at high altitudesmade it difficult to control. The thin air created a threshold of just 13mph between stalling and going too fast to control. 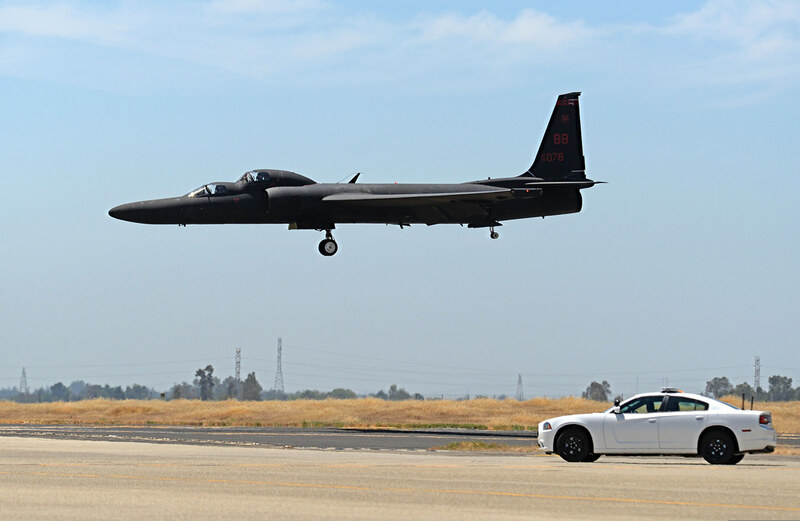 Its bicycle-type landing gear requires a second U-2 pilot to follow the plane in a chase car, providing radio inputs to guide the pilot while landing. To ensure the classified project would stay secret from prying eyes, Lockheed selected a remote dry lake bed in Nevada for flight testing. The first U-2 aircraft was delivered to the site in July 1955 by a Douglas C-124 Globemaster. 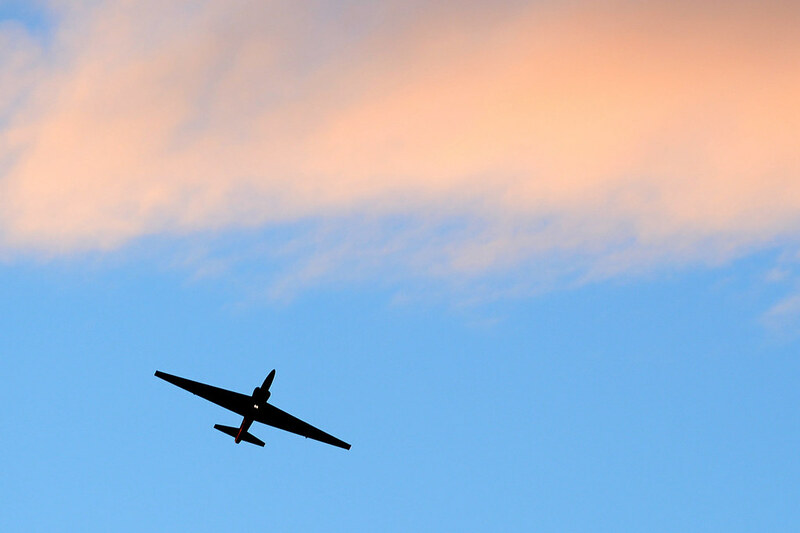 The U-2 was the first aircraft in the U.S. to be designed from the ground-up as a reconnaissance plane. Before development of the U-2, the U.S. would mount cameras to fighter jets or bombers. These platforms flew at altitudes within range of Soviet air defense systems which made it impossible to safely penetrate Soviet airspace to gather intelligence on how far along their nuclear weapons technology was and the location of their bomber force. The U-2 was designed by the legendary Kelly Johnson, known for designing the U.S.’s first operational jet fighter (P-80 Shooting Star) and would later design the SR-71 Blackbird along with over 40 other airframes during his time as head of Lockheed Martin’s advanced development programs, also known as Skunk Works. Johnson’s small team of engineers developed the airframe in just 8 months, and submitted an unsolicited entry to the Air Force who was also requesting entries for high-altitude reconnaissance aircraft. The test aircraft, the CL-282, was an F-104 Starfighter with exceptionally long wings, one engine, no armor, no ejection seat, or landing gear. The Air Force at first selected the Bell X-16 which had traditional landing gear and two engines. 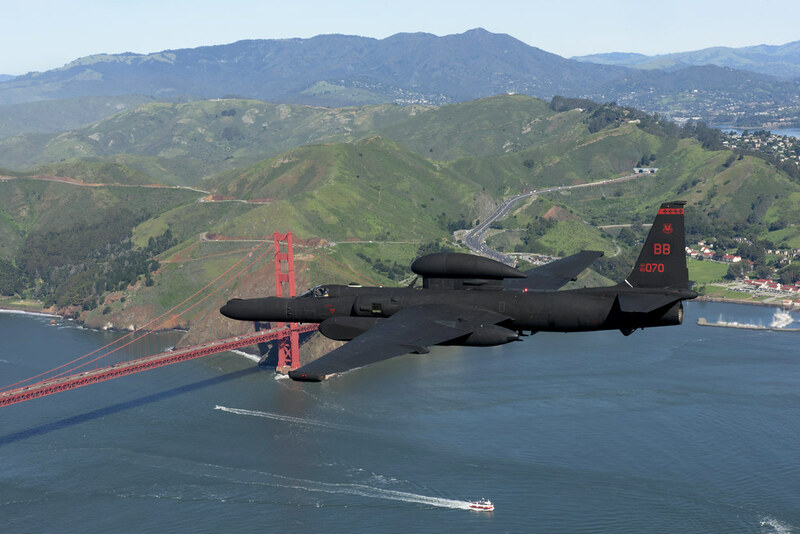 The Intelligence Systems Panel, a civilian group advising the USAF and CIA on aerial reconnaissance convinced the Air Force and CIA to jointly fund the U-2 project. 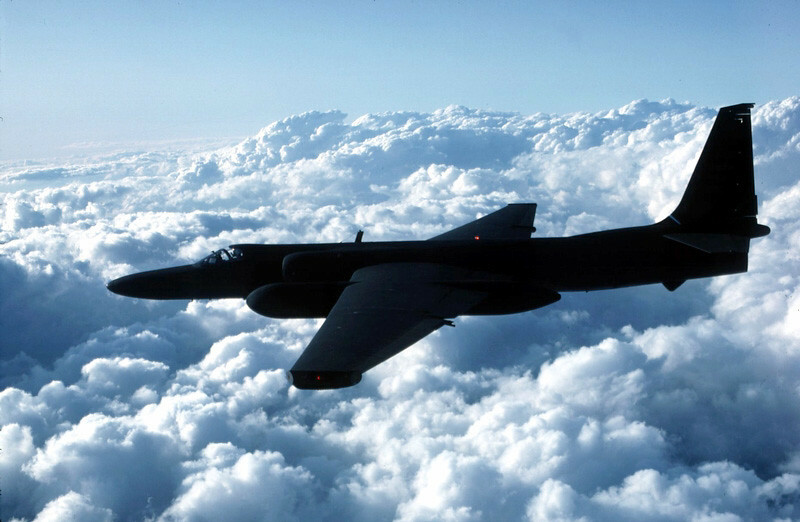 Aircraft 56-6703 was one of several Air Force and CIA-operated U-2s used to perform overflights of Cuba during the missile crisis in October 1962. Images of SS-4 intermediate range Intercontinental Ballistic Missile batteries captured from U-2s on October 14 and 15, helped confirm the Soviets were basing nuclear weapons on the Caribbean island. 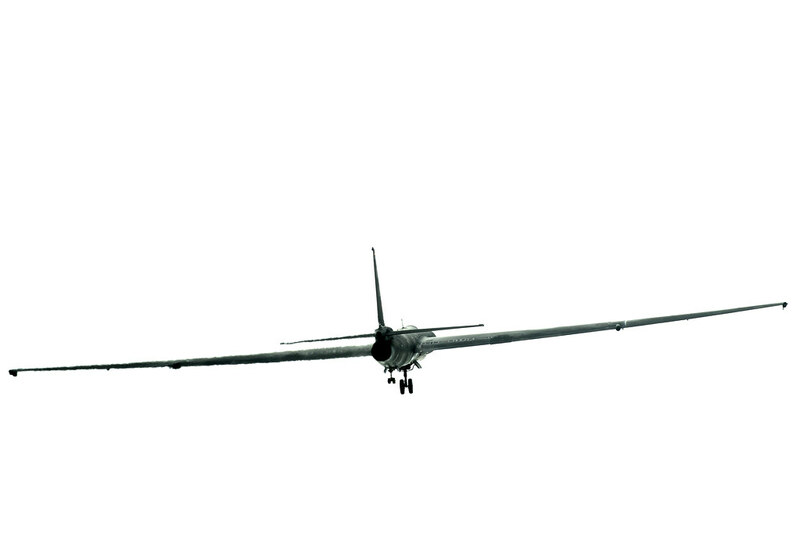 One of the U-2’s most unique features is its landing gear. Initially, Johnson wanted the aircraft to have no landing gear–instead taking off from a wheeled dolly and landing on its belly. The flight test program became difficult to perform as the belly of the aircraft had to be repaired after every landing. The engineers instead installed a dual-wheeled main landing gear and a dual-wheeled tail wheel along the centerline of the fuselage. Flexible struts were used to support the massive 105-foot wingspan on the ground, which would fall away when the aircraft took off. 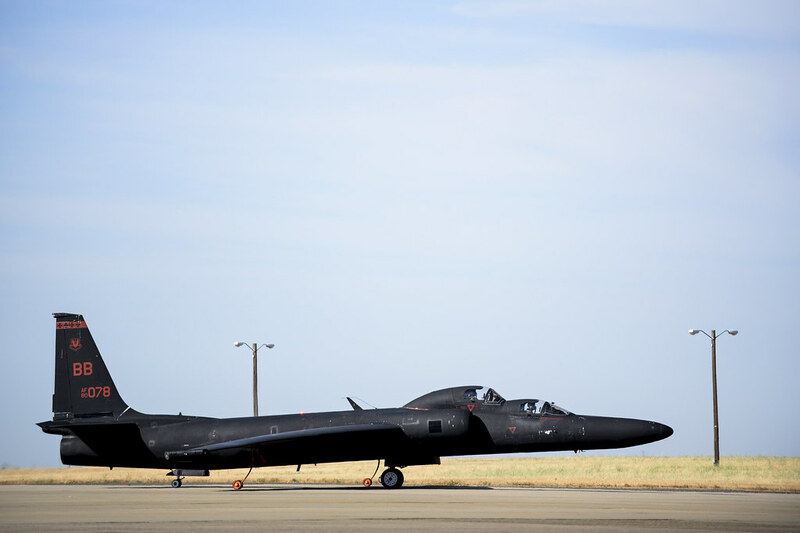 In 1994 the Air Force invested $1.7 billion modernizing the U-2. These upgrades included a 30 percent larger airframe, a new all glass cockpit, upgraded avionics, and fiber optic communication capabilities and sensor systems. 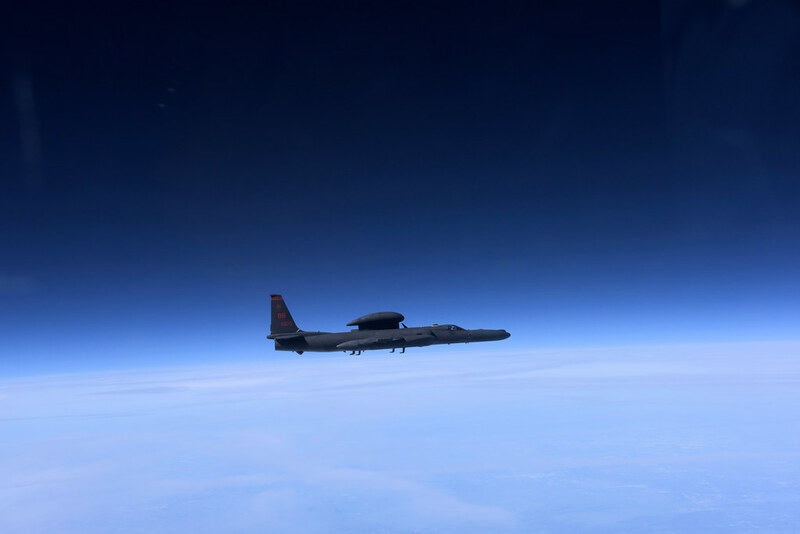 The U-2 outlasted its faster counterpart, the SR-71 Blackbird, and continues to be the go-to reconnaissance platform because of its ability to carry a large sensor payload customized to different mission requirements. – 1st, 5th, and 99th Reconnaissance Squadrons at Beale AFB, California. 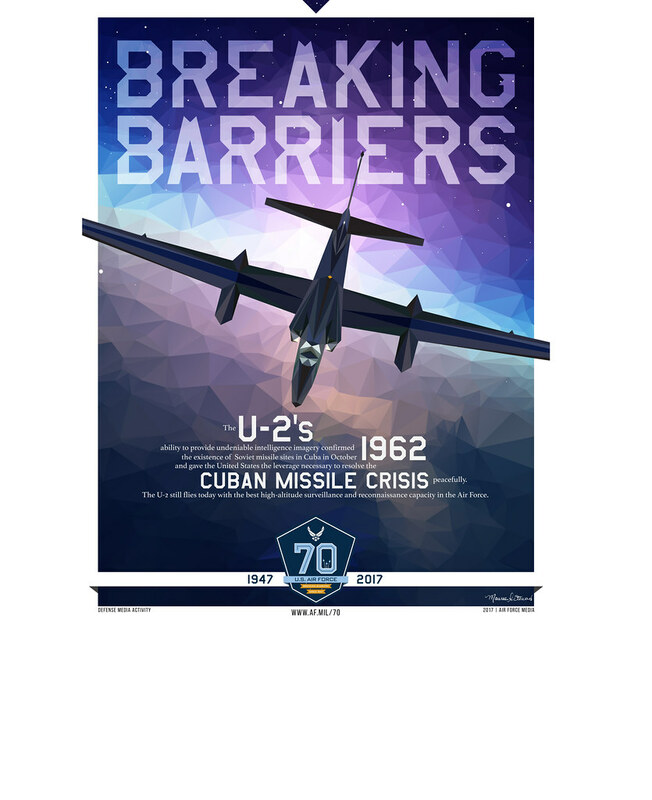 The U-2 became infamous almost immediately after first going into operation, flying higher than any other aircraft or missile could reach, the U-2 flew over the USSR to see if the USSR had surpassed the West in nuclear weapons and bomber production, and if they were gearing up for a potential attack. The images acquired, proved the soviets were building farm equipment, rather than military equipment. Their missiles were better suited for attacking Europe and not the U.S., but most of them could not be fired quickly. The information provided by the U-2 helped the US avoid a potential war. Photograph taken during a 1957 U-2 flight, of an R-7 missile launch pad at the Tyuratam missile test center, USSR. The information gathered revealed that their missiles were better suited for attacking Europe and not the U.S., but most of them could not be fired quickly. 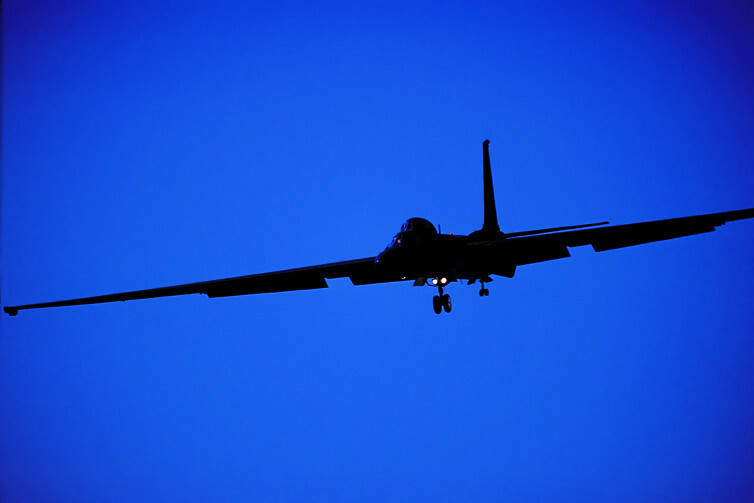 The information provided by the U-2 helped the U.S. avoid a potential war. 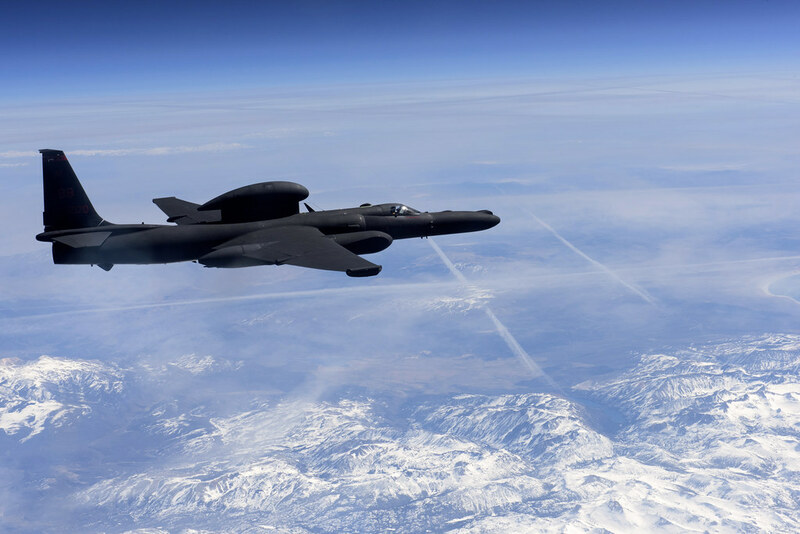 The U-2 has seen service in every American War since the Cold War, including recently in Iraq and Afghanistan, finding makeshift mines, improvised explosive devices and tracking the movement of insurgents. The aircraft has also found its place in non-military missions such as tracking the migration of destructive spruce bark beetles in the forests of Alaska, and surveying damage from natural disasters. 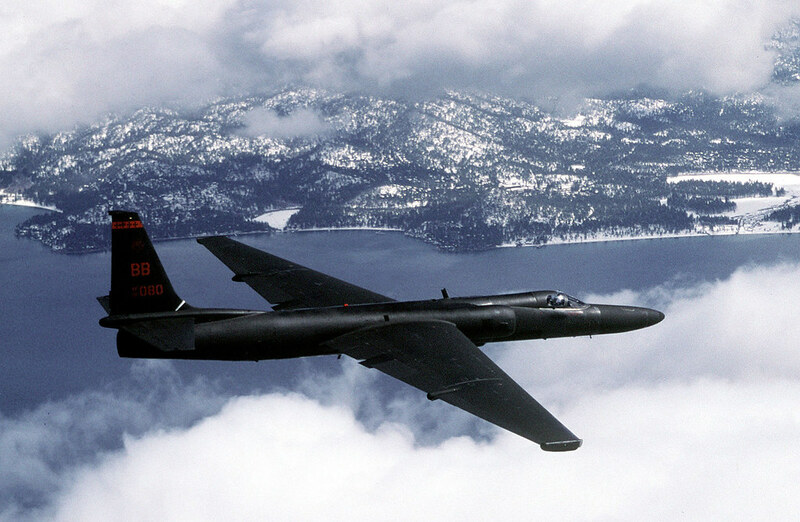 An Air Force U-2 flies a training mission. – To keep the project under secrecy, the aircraft was given a “U” designation for “Utility” instead of “R” for “Reconnaissance”. 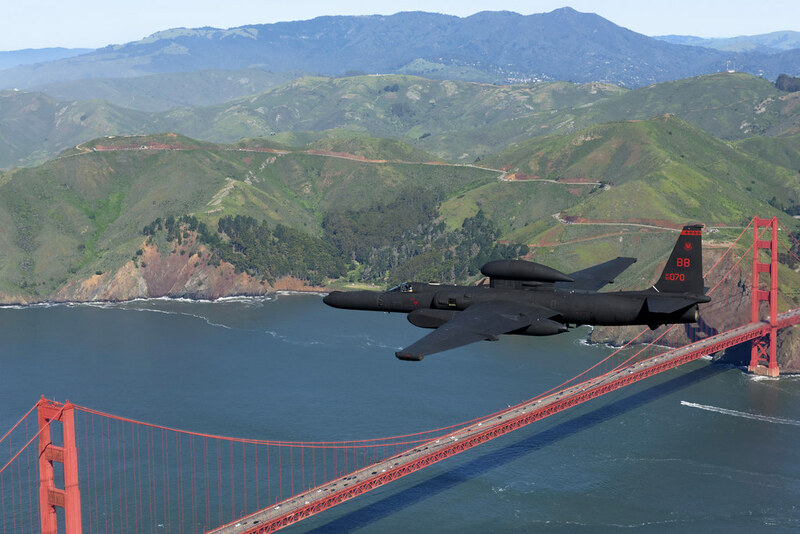 – It takes the U-2 about 20 minutes to climb to 50,000 feet. – Developers needed a special fuel that wouldn’t evaporate at 70,000 feet for the U-2. Shell Oil used petroleum byproducts usually used in consumer insecticides to create the new fuel, causing a nationwide shortage of bug spray in 1955. – The tandem landing gear combined with the pilots’ poor view of the runway due to their bulky spacesuits and the aircraft’s lengthy nose, makes the U-2 a challenge to land. 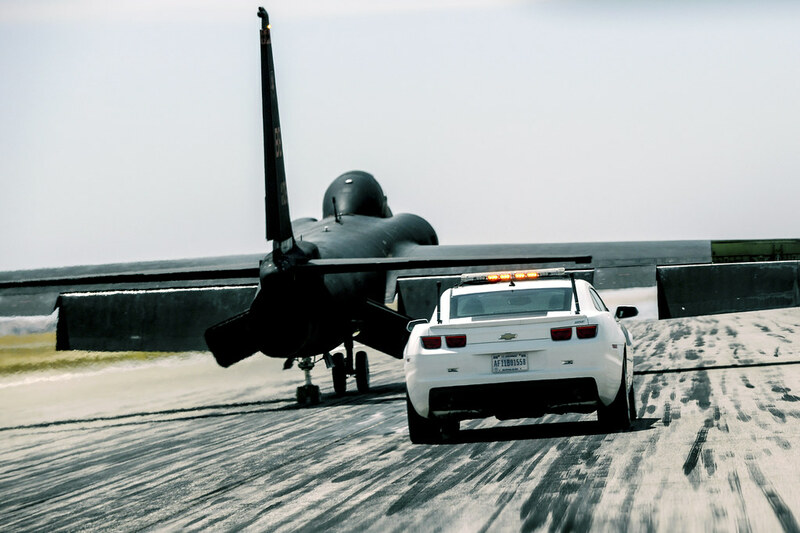 Pilots are assisted by radio calls from a chase car, which trails the aircraft down the runway on final approach calling out altitudes and course corrections. – Several U-2s were designed to operate from aircraft carriers. Deployed once in 1964 aboard the USS Ranger the U-2Gs provided surveillance on French Nuclear testing. – The U-2 is one of the few aircraft to have served over 50 years in the US Air – Force alongside the B-52, C-130, KC-135, and T-38. – The Russians developed a method of using MIG-17s to get as close to the U-2 as possible, however the Russian aircraft never got close to the U-2–instead this maneuver usually damaged their engines. 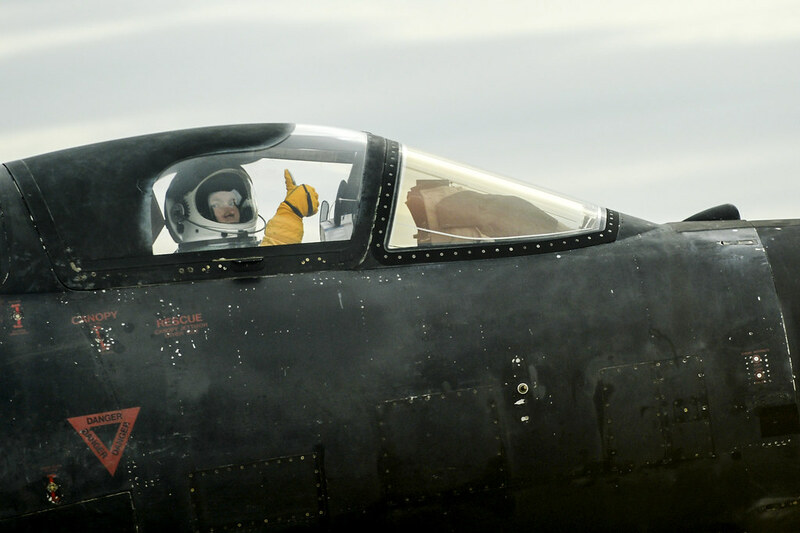  Archived in U-2 Dragon Lady. Bookmark the permalink.